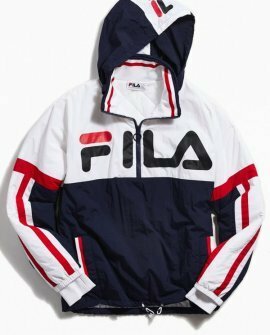 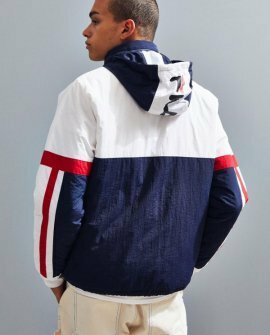 Colorblocked windbreaker from FILA with oversized branding at chest. 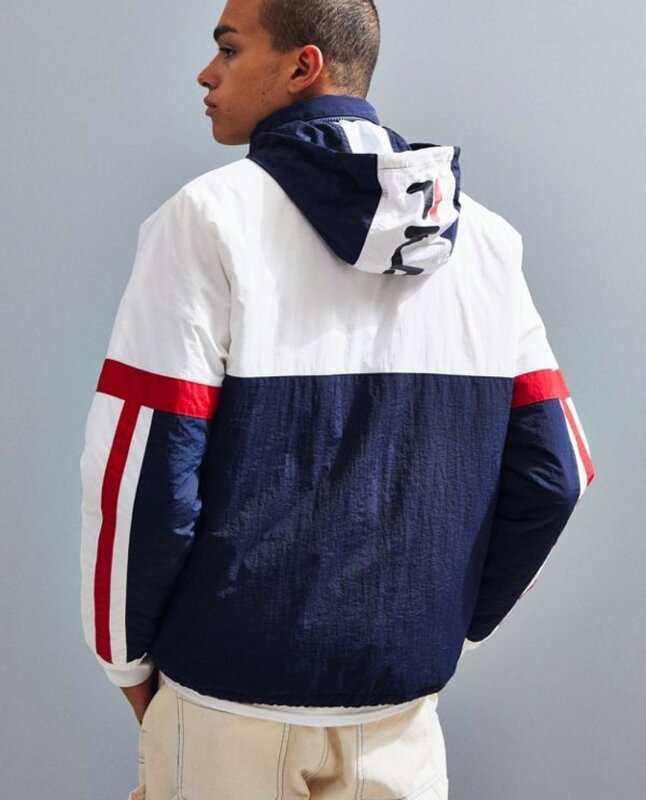 Zip-up poly jacket offers adjustable hood and elastic trim at the cuffs + hem. 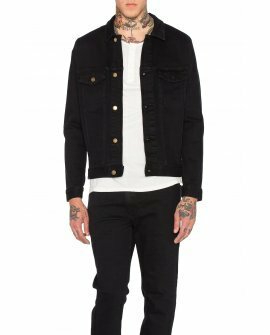 Finished with slip pockets at the front + stripe detailing at sleeves.